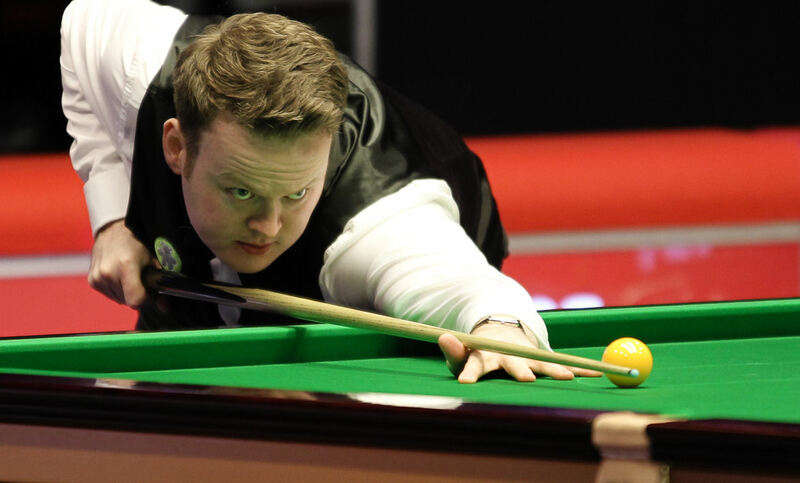 Shaun Murphy remained on course to win back-to-back ranking titles for the first time in his career by beating Dominic Dale 4-1 at the Ladbrokes Players Championship. Murphy captured the trophy at the Ladbrokes World Grand Prix in Llandudno two weeks ago and he’s now into the quarter-finals in Manchester chasing another £100,000 top prize. It was a tremendous display of break-building from the world number four tonight as runs of 84, 78, 93 and 103 helped him to an emphatic win over Dale. “It would be very special to win back-to-back titles because not that many players have done it, but there are still three very tough matches to go,” said 33-year-old Murphy. “Once you’re in the zone – whatever that is – you just want to keep doing the same things, and it’s working. Murphy will now face Ben Woollaston, who beat Matthew Selt 4-2. Leicester’s Woollaston made a vital 26 clearance to win the fifth frame when tied at 2-2, and secured victory in the next. Ricky Walden continued his return to form with a 4-2 defeat of Marco Fu to reach his first ranking event quarter-final of the season. Fu looked set to go 3-2 up until he missed a black off its spot on 57 in frame five. Chester’s Walden made a 42 clearance then finished in style in the sixth with a 103. Barry Hawkins edged out Robert Milkins 4-3 with a top break of 79. Milkins had chances in the decider but couldn’t take them, and when he failed to escape from a snooker on the last red he could only watch as Hawkins cleared up to earn a meeting with Ding Junhui.